The Crown Council's Annual Event is the only event in dentistry with the singular focus of helping you create a culture of success in your personal and professional life. You will learn to be a better leader, a better member, a better person to serve the patients in your practice. The Annual Event was created in 1996 when the original 400 members of the Crown Council met in Kerrville, TX. What started as a simple gathering of like-minded professionals has turned into dentistry’s finest non-clinical dental program. Held early in the year and designed to be a significant team experience, the Annual Event provides education, motivation and skill training that empowers dental teams with the knowledge of how to create a culture in their practice that will bring them financial and personal success. If you believe that your people are your greatest asset, that your patients buy your team before they buy your dentistry, that your culture is your greatest competitive advantage; then we have created a home where you can access powerful tools to build your people and build a culture of success for your practice. Be ready to LEARN! Open your mind to some new possibilities. Education at the Annual Event can come from main-stage presenters, mastermind groups, break-out sessions, Lunch & Learn presentations, videos, awards and our team training program on Thursday afternoon. This is not a meeting, but an educational experience. Any lasting commitment for change requires more than just learning new information. You must emotionally embrace it. When you think about the biggest changes you have made for the better, it is because you jumped in with all of your heart, mind and soul to make something better. Be motivated at the Annual Event by the 1,000 other Crown Council members and teams. 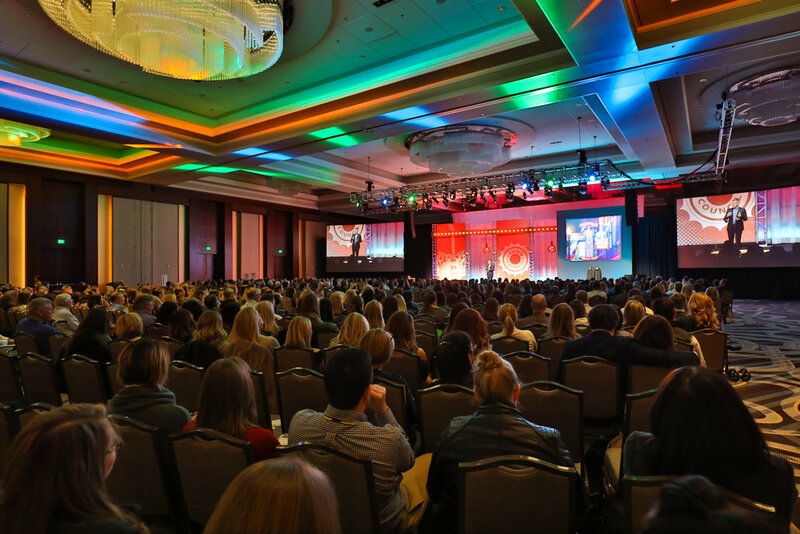 The lasting success of any Annual Event experience can only come by actually DOING something different. Record not only what you LEARN and how you FEEL but what you commit to DO with what you have experienced. Share those commitments with your team. "The Crown Council Annual Event does more for our practice's bottom line and creates more enthusiasm and motivation for our team than any other meeting." "This meeting is dentistry's finest gathering. The Annual Event not only makes me a better dentist - it makes me a better person." WHAT IS THE PURPOSE OF THE ANNUAL EVENT? 1. Develop your most valuable asset, your team: The Annual Event focuses on building relationships, communication and the happiness and wellness of your team. The single purpose of this once-a-year event is to create an experience where dental teams can learn something feel something and go home empowered with information and motivation to change. 2. Establish reachable goals to grow your practice and develop skills: We won’t let you sit in your seat and just listen. You will be moving, talking, brain-storming and working as a team throughout the meeting. You will be setting goals and mapping out a blueprint for the coming year. 3. Supercharge the culture of your practice: Crown Council’s mission is to provide the tools to help you create a successful office culture. Everything at the Annual Event from the awards night to the entertainment will teach your team skills for developing a powerful practice culture. 4. Boost your case acceptance results with communication skills taught by the masters: In years past the presenters at the Annual Event have focused their messages on multitasking, social media development, storytelling, vulnerability, developing effective conversations, relationships, listening, recognition, service, kindness, change and many more. 5. Inject your practice with new ideas from outside the dental industry. Presenters don’t speak about clinical dental topics at the Annual Event, but instead focus on teaching motivational and professional skills. You can use these skills to improve relationships with your team and your patients. 6. Exchange ideas with the best in dentistry: You don’t practice alone within the Crown Council. You will be given many opportunities to collaborate with other like-minded dental professionals at the Annual Event. The Annual Event sets aside times when you will mingle, collaborate and share with the over 1,000 other professionals who join us each year. 7. Recognize outstanding performance: The Crown Council Annual Event Awards Night is one of the only places in dentistry where dentists and team members are recognized for outstanding performance. Nominations and voting take place on the Crown Council website before the Annual Event. Each attendee has the opportunity to participate in the Annual Event Awards Night. Patients go through your team to get to you. The #1 biggest practice frustration as rated by 90% of dentists is team management. The #1 biggest expense on your profit and loss statement is team cost. 15% of your success comes from your clinical ability, while 85% of your success comes in your ability to effectively motivate your team and communicate with your patients. There is more to learn about the human side of your practice than the clinical side. For every one patient that leaves a practice for lack of dentist’s clinical skills, there are ten that change dentists because they did not feel it was a good fit for them. It does no good to know how to do something if you don’t know how to effectively present it and get patients to accept it.